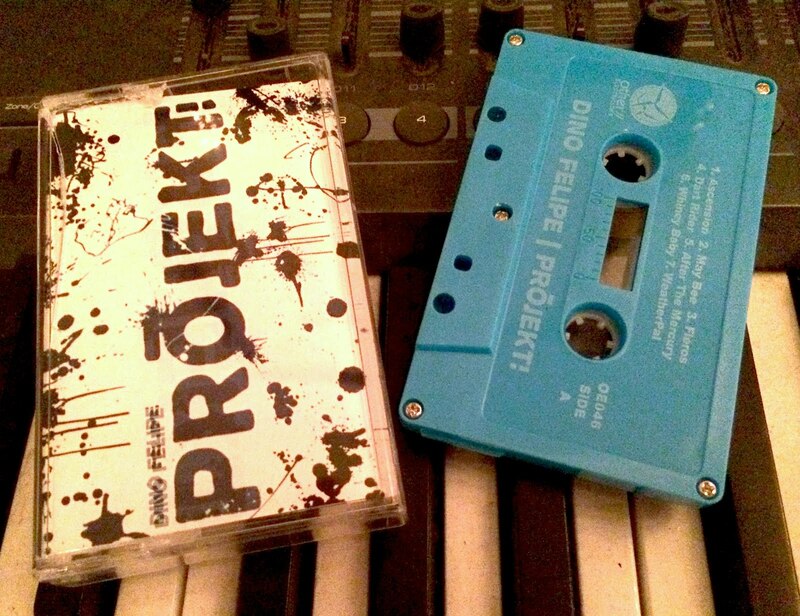 Disembodied ghosts of electro-pop tropes haunt this 0.666 hour long tape, never quite letting Dino Felipe get away with an otherwise half-mellow/half-tense collection of noisy, ambient, modular synth-based collages. The only two tracks that’d qualify as having your standard “song” structure are pretty damn great (think Caribou meets Fursaxa with a li’l twist of Bjork), and the vast stretches of dream-like sequences between prove both engaging and disorienting and well worth their salt. If you do nothing else, I highly suggest listening to the opening track, loudly and/or with headphones. The mixing is meticulous and fanfuckingtastic! This ain’t everyone’s cup of tea, but I can’t think of anything better to let the mind loosely meander to whilst working with your hands. Rachel Short is, from what I can tell, is first & foremost a composer, followed by being a multi-instrumentalist, and then, finally, a spoken-word performer. 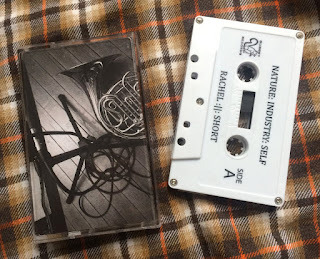 In this, her debut release on Gubbey Records (both out of Louisville), she takes turns weaving field recordings into textured loops, adding bits & scraps of French horn & piano, and delivering a slow, confession of a life’s fluctuating perceptions, all stretching across a wavering 27 minute stretch of side A.
Flipping the tape, she trades in her (only slightly more) concrete thoughts for more carefully crafted soundscapes and giving her full attention to exploring how goddamned haunting and forlorn one can make a French horn sound. Both sides are both glacially slow AND the opposite of studying music. Think of it like a theatrical performance for the closed-eyed. 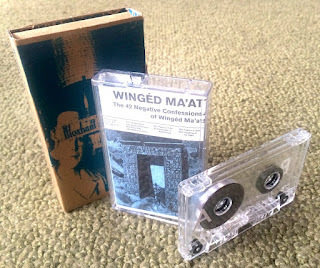 So, I did me some investigating and found next to zero info on Wingéd Ma’at, save a bunch of reviews that focused on their Ancient Egyptian aesthetic. While some sounds found herein perhaps maybe could have been captured within the dusty, reverberant catacombs under Giza, they just as well could have been conjured up in abandoned warehouses and midnight parking garages, as the synth arpeggiations and major key melodies are strictly western. Exotification aside, the beatless melding of synth and heavily treated guitar-meanderings (and I’m talking delay pedals for daaaays here, folx) recall the head-lolling Harmonia and some of the better Tangerine Dream dronescapes, with the brighter layers mixed well enough to reveal a darkness that doesn’t command attention the first time around, which is pretty rad, I think. Great soundtrack for an urban hike! Burton's own Bandcamp page tags his style as alternative but to my ancient ears this is singer-songwriter. Think Tim Buckley and Nick Drake. I must confess I'm not the first reviewer to peg him in that light. Another threw in Leonard Cohen. All great references in any event. 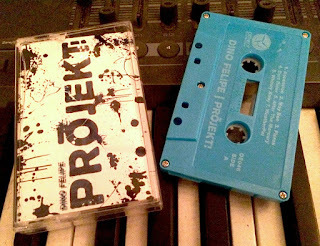 The tape offers ten selections-if you count the brief "Prelude" that welcomes the listener. None of the songs drag on and are swift and direct in their subtleness. His voice, while not outstanding, is more than adequate for these songs. He is accompanied by acoustic guitar and makes the most of the sparseness of the arrangements. The meat here is the songwriting which is outstanding. Burton uses just enough familiarity to hook you in while vocally flowing over the edges of the melody. There is not a mediocre song in the bunch and stylistically he keeps it interesting enough given the variation of each track. While there are ten tracks, they are short and hence this is an e.p. worth of Burton. Available only on tape, as it was recorded, this is a talent to reckon with. Sam Burton is my favorite singer-songwriter thus far in 2016- and the year is nearly over. Get this my all means. Melancholy. It’s everywhere today, permeating the collective consciousness. It often manifests itself outwardly as anger, and whether or not that’s a misdirected reaction is dependent upon how you feel about the object of that anger. 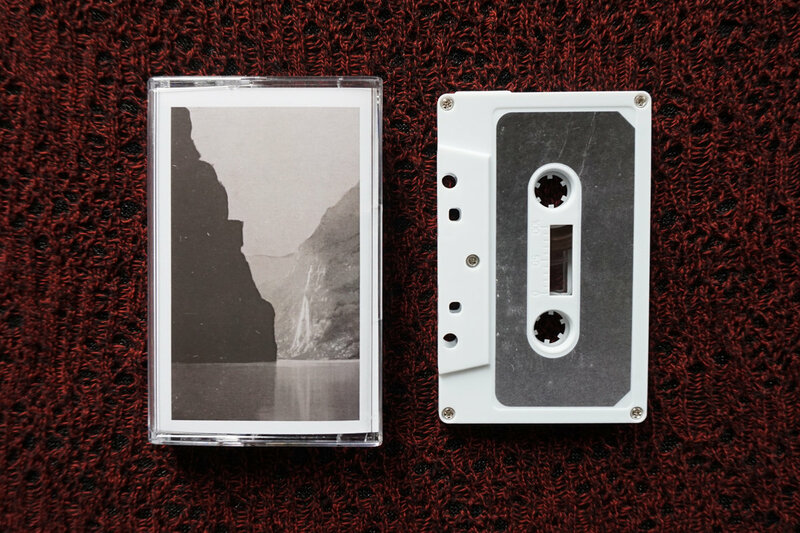 Andreas Brandal, the prolific Andreas Brandal (seriously, check the dude’s Discogs page), has a brand spankin’ new tape out on Oxtail, and whether you’ve got a fire in you or you’re grieving the loss of a philosophy or worldview – or even if you’ve moved on into a bleak future westworld (not necessarily Westworld) – it will speak to you in ways you might not expect, whispers across landscapes and thunder in distant clouds. Brandal’s harnessed the language of near-future dystopia by combining it with “spaghetti western” flourishes, presenting in result an apocalyptic experience, one where the oxymoronic violence and tranquility of the title have converged and spawned. The juxtaposition is strange and majestic. In short, it’s stunning. Each of the eight pieces here convey an extreme sense of mood, fixating on that sort of sci-fi atmosphere that propels the imagination to creative new heights. There are obvious places it goes, and you can figure out your own destinations for yourself, filling in personal references from my description so far. Guitar and synthesizer, along with occasional strings and percussion, in the hands of this master, are perfectly combined for maximum transportation. A true new world is created here – Brandal should have his hand in some sort of soundtrack work, as there has to be a Hollywood studio just begging for this kind of scene-setting. But it’s out here among us, with the shellshocked and disillusioned masses, pits in our stomachs as we face the future, or the past, alternately enflamed or narcotized. And there it is, Flames and Ether, a reflection of the utter fiction of our weird, actual lives. We have more a whimper than a bang. In fact, my coffee maker drowns out the first minute or so and I have to start over-once coffee is firmly in hand of course. The second time through is no different. A slowly building ambience of noises. Various noises-some familiar, others not so. A word about Shadowtrash Tape Group. After examining heir web store, you find they have a good number of releases and even offer a tape "of the month" club. Interesting stuff. Well worth checking Into. To me, “The Salathé Wall” feels like an electronic album that a fair amount of work was put into. The album is very detail oriented, and presents a lot of experimental sound design with a style similar to arca, lotic, m.e.s.h, etc. The heavy moments of the album feature mangled percussive samples underneath the pretty synthetic sounds being played on top. The album flows as one piece, and changes slightly at specific points to keep the listener off guard when following repetitive moments. The twisted, repetitive sample manipulation on this album keep me interested. 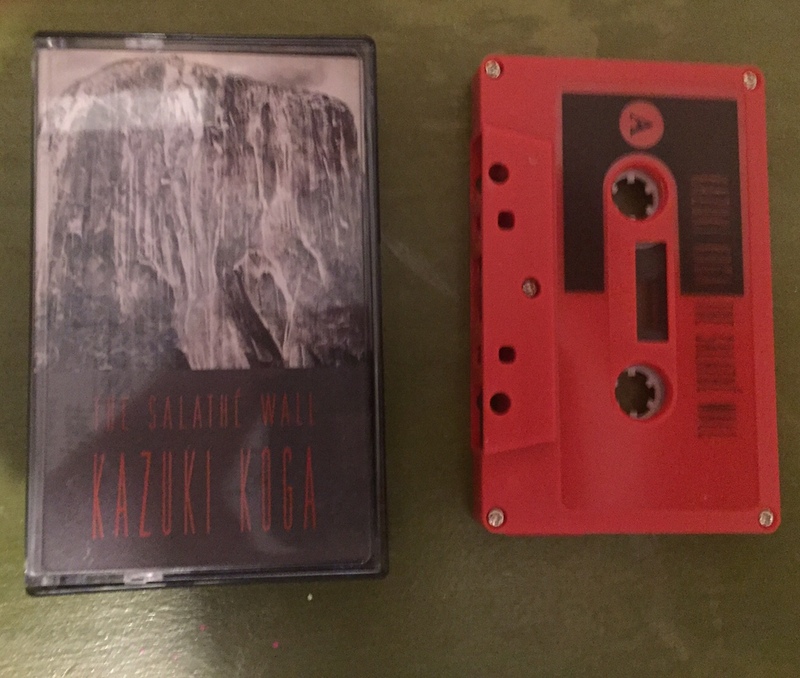 I’d be fine with this album being twice it’s length, and I’d say this album has made me anticipative of a new Kazuki Koga release. You guys, I’m not … I’m not kidding. I like Channelers, I really do. Inner Islands label-head Sean Conrad’s go-to moniker for all things beatific, Channelers always unfolds in new and exciting ways. Essex did our heads in with synthy aqua swells, and Arden Tapes, while not actually being tapes, turned inward with acoustic guitar passages. But Space Makes Clearing might be the one – it might actually be the one to break your brain and send it on a permanent astral trip. If not that, then it’s at least going to be the morphine in your drip, the feel-good pulse every time you hit that button from your hospital bed. Or at least that’s how it seems – you don’t have to be incapacitated or injured or something to convalesce. Conrad knows that – that’s why his tunes are the balm for what ails you, never mind how serious your ailment or incapacitated you may feel. I write this at 9:17pm on November 8, 2016, and I’ve got a deep dissatisfaction in my soul. By the time you read this, you’ll be a step ahead of me in understanding the direction our world, but right now I’ve got the uncertainty blues, and Space Makes Clearing is the one thing that’s propping my spirits in an upright direction at the moment. Guitars, synthesizers – other instruments? Probably – combine for maximum peace-ing out, and arpeggios shimmer like stars and souls and trickle like rivulets and life force into a vast expanse. I mean, he’s got a track called “Praise for Life in All Its Forms,” for crying out loud! “Your Spell Is on the Wind” might as well be called that, or the utterly fantastic “Clear Guidance Golden Chords” – check that, “Clear Guidance” is absolutely perfectly titled in its harp-y, angelic goodness. 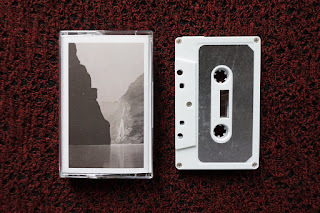 But still, take Sean Conrad’s entire body of work – Channelers, Ashan, Orra, Inner Islands, whatever else – and apply “Praise for Life in All Its Forms” to it. Why don’t the vast majority of other people follow this particular track? It’s a travesty, I tell you. 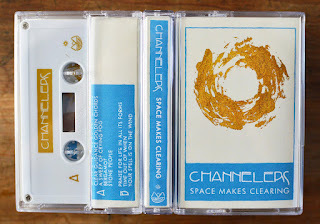 I’m seriously considering making a loop of Space Makes Clearing and pumping it through my speakers all day, at various volumes depending on how closely I want to pay attention. I have a feeling it will be very close, most of the time. Backing off the trepidation now – I’ve got good vibes all day long with this thing. Who cares who wins this election at the moment (but really, you should absolutely care, I’m just editorializing), there’s so much to look forward to. Channelers just happens to be the perfect musical accompaniment for self-actualization. This is another beautifully packaged release from Bloomington Indiana’s Auris Apothecary label. 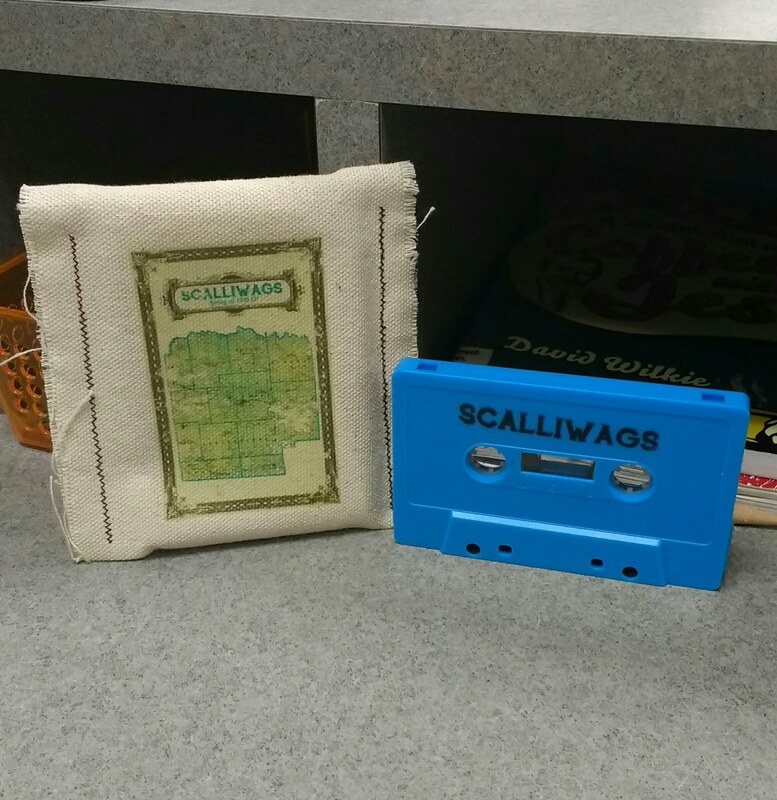 It is a blue cassette in a nice stitched bag with colorful, vintage looking graphics and a classy clear snap closure. The liner notes are on thick cardstock with a pearlescent gloss. I expect nothing less from this label with their creative and thought provoking releases. The album itself could be longer, with three songs, which are repeated on Side B, but it is overall an extremely pleasant listen. The single microphone recording of what sounds like a group of friends exercising their musical chops together on a lazy afternoon. 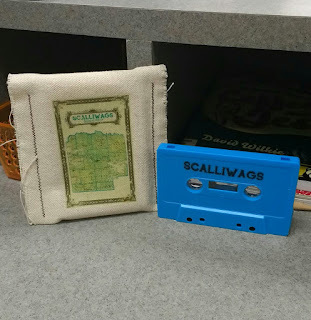 While this folksy, sincere, achingly heartfelt music is not really my style I couldn’t help but be caught up and enjoying immensely listening to this cassette. I listened to it three times on my lunch break and felt calmed by it. I would definitely recommend this release. All that said, this is great stuff. The group avoids a major pitfall of electronica by making brief statements and moving on. You won't find lingering synth explorations or even solos for that matter. But don't be mistaken. This is hardly synth-pop. Cheap Imitation isn't that at all. This album is a fine document of a solemn perspective. Maybe one of the best overall tapes of the year. Hell, maybe one of the best albums of the year.